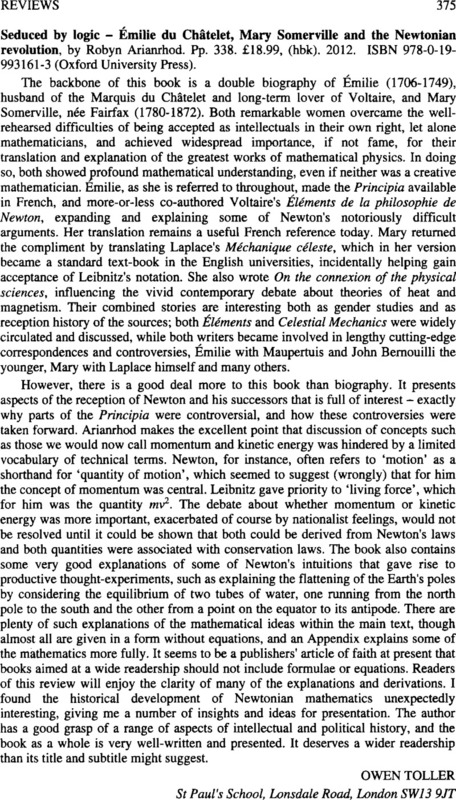 Reviews - Seduced by logic – Émilie du Châtelet, Mary Somerville and the Newtonian revolution, by Robyn Arianrhod. Pp. 338. £18.99, (hbk). 2012. ISBN 978-0-19-993161-3 (Oxford University Press).